This Grand Laptop folding card is made from a royal blue shimmer board that has subtle dark blue paisley designs on the throughout the background of front flap with the highlight being the gold foil filigree design on the right hand side. 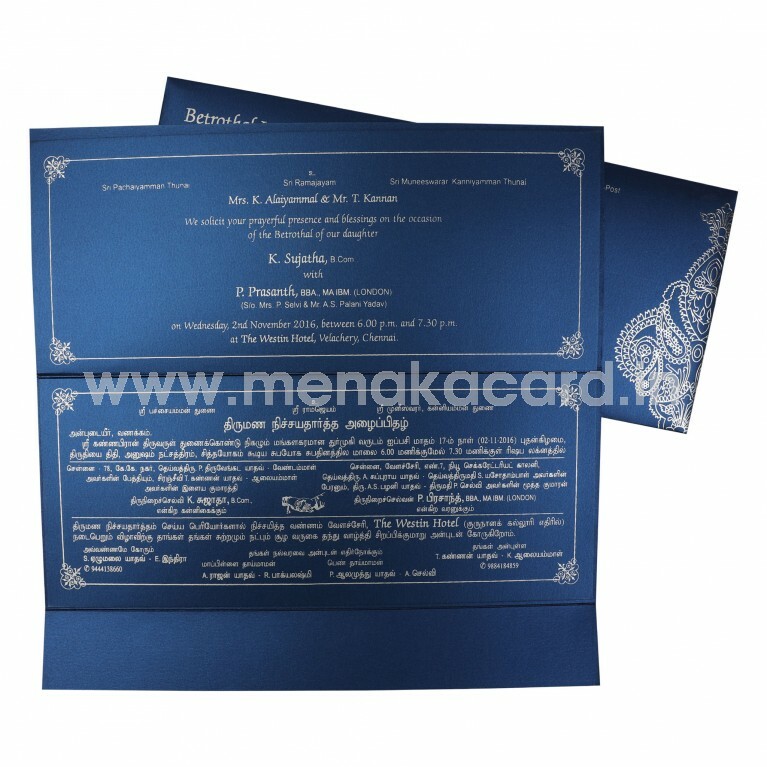 The card opens up to reveal the blue inserts pasted onto the actual card with the content printed in contrasting gold ink which adds to the royal look of the card. 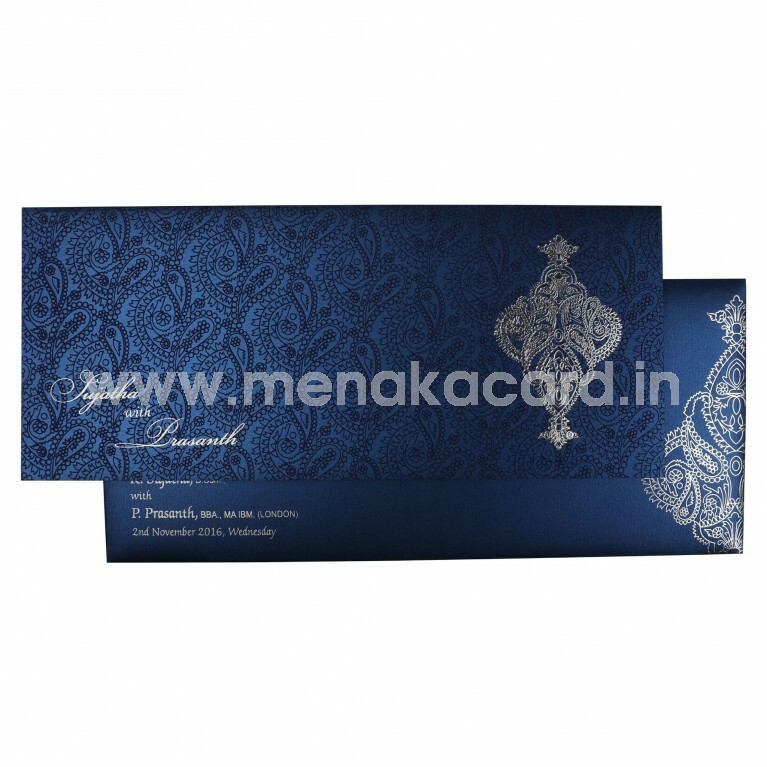 The envelope is a simple blue cover with the main filigree design printed in gold on the right hand side of the card. 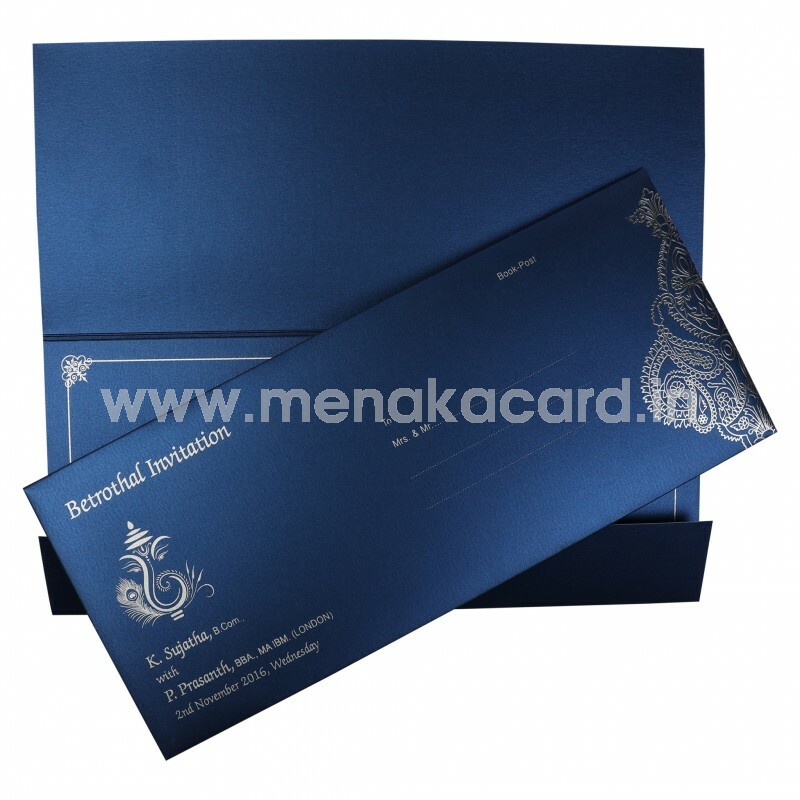 This card can be used for all Hindu, Muslim weddings, receptions, engagements, and other ceremonies like upanayanam, sadabiskekam, Ear boring, Inaugurations, house-warming etc. It can be made in maroon and gold.